The Irishman's partnership with HiSmile showcases how teeth whitening can fit into even the busiest schedules. Conor McGregor is the face of the fight game, and one of HiSmile's most loved partners. The Irish mixed martial artist rose to fame after joining the UFC in 2013, earning the nickname 'Champ Champ' as a two-division titleholder. Outside of the octagon, Conor is a fashion icon, a successful entrepreneur, and a strong family man. Whether you love him or hate him, there's no arguing that Conor's larger than life personality has incredible influence both inside and out of the octagon. 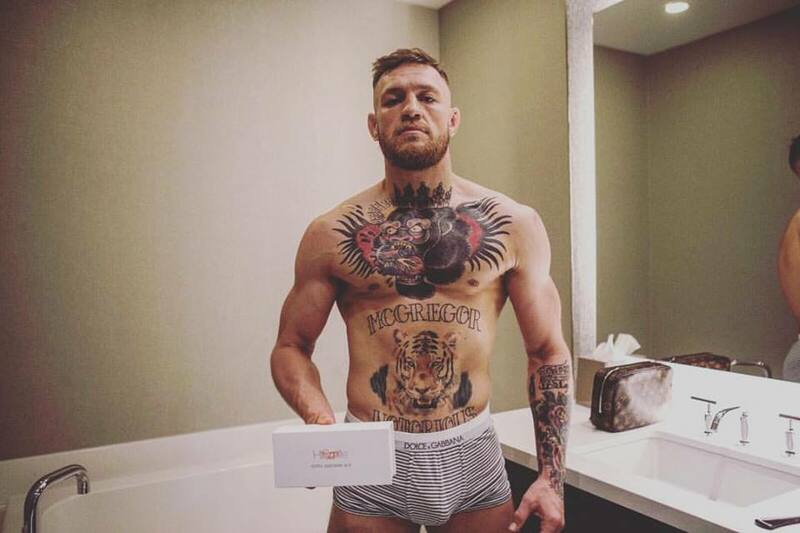 We partnered with Conor before the fight with Floyd Mayweather in 2017 which proved to be a smash hit, with his fans embracing how teeth whitening can fit into even the busiest and most demanding schedules. A simple post of Conor whitening his teeth while getting a haircut has recorded over 16 million views to this day.